Syrian activists are sharing images that suggest the U.S-led coalition in its fight against ISIS is illegally using white phosphorous, a deadly incendiary substance, in residential areas of the terror group’s stronghold in Raqqa. Amaq News Agency, the official news agency of ISIS, also distributed images and video of the alleged white phosphorous attack, saying that “the infidels are exterminating the Muslims and jihadis in Mosul and Raqqa by white phosphorus.” The group has also claimed that the coalition used white phosphorous in attacks on ISIS’ Iraqi stronghold of Mosul. “The Crusader countries are attacking the Islamic State with white phosphorus because they see that they forces cannot defeat the soldiers of the Caliphate,” said one pro-ISIS user on the messaging app Telegram, who was among dozens discussing the alleged attack. On Telegram, many instructed those exposed to the substance to refrain from touching affected areas and from using water to contain the spread. 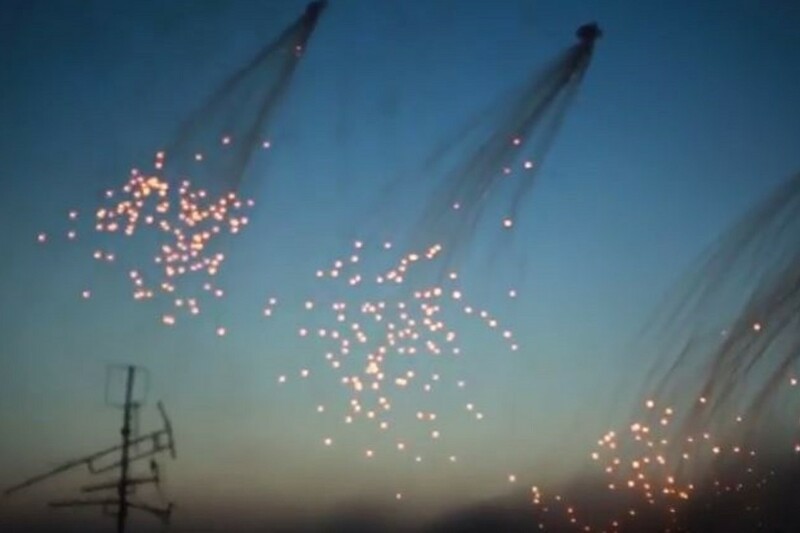 White phosphorus is a self-igniting weapon that can be used as a smoke screen to mask the movement of forces on the ground, mask the origins of fire, or to signal to other troops. According to international law, the use of the material is forbidden in civilian areas, since it can cause severe, thermal and chemical burns when coming into contact with the flesh. Amnesty International has classified its use inside, or in the vicinity of, civilian areas as an indiscriminate attack and a possible war crime. White phosphorus, as well as other incendiaries, has been used by Syrian regime forces fighting insurgents in Aleppo and elsewhere. 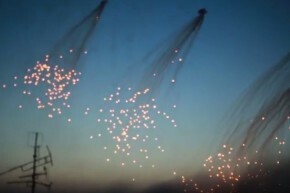 Previously, the U.S. used white phosphorous as an “incendiary weapon” during the battle to reclaim the Iraqi city of Fallujah from al-Qaeda affiliated militants in 2004. Syrian Democratic Forces (SDF) fighters on their way to Raqqa, Syria June 6, 2017. The long-awaited battle to retake the ISIS-held city of Raqqa was launched last Tuesday by the U.S-backed Syrian Democratic Forces (SDF), a coalition of Kurdish and Arab militias. According to local reports, the SDF started advancing from the eastern and western sides of the city and reclaimed limited areas in the outskirts of Raqqa city from ISIS on Saturday. 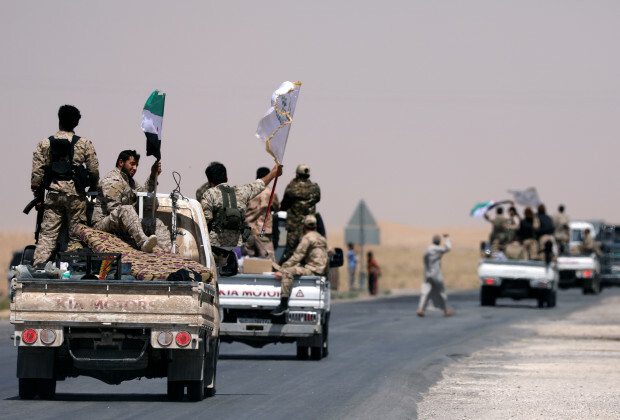 “We announce the good news of the start of the Great Battle, which aims to liberate Raqqa, and we declare that our forces are ready for the fight with high morale and great preparations,” the coalition said in a statement. The International Rescue Committee warned last week that 200,000 people are still trapped inside Raqqa, including tens of thousands of children.